Last Saturday, May 17th, I held a day-long Commitment-Based Project Management (CBPM) workshop in Mountain View at Symantecs facilities (thanks, Symantec!) We had 38 people in attendance and it was obvious the energy in the room as we discussed and role-played how to conduct a map day. At one point we were running almost two hours late (but we recovered)! CBPM handles a lot of the details by putting the responsibility where it belongs: with the people doing the work. By empowering the team and trusting them but having the necessary verification tools (i.e., deliverables matrix and PAC) a PM can easily monitor a project and be successful without being overwhelmed and overloaded with details. This was the third workshop Ive run (the two prior ones were at Symantec). Im working on scheduling future ones. PMI Silicon Valley is already discussing when we should have the next one. Cornell Universitys Johnson Graduate School of Management is also looking into their calendar to determine when we can run it. PMI Phoenix, San Francisco, and North Carolina have been approached. Do you want host a workshop in your company or group? Just let us know! 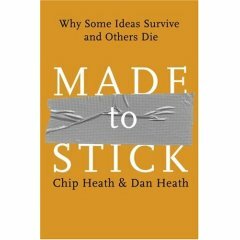 I just finished reading Made to Stick: Why Some Ideas Survive and Others Die by Chip Heath and Dan Heath. If you want to carry your message across; if you want to sell your story; if you want people to follow you, this book is for you. Why do some stories stick (e.g., urban legends such as the razor blades in the Halloween candy; Its the economy, stupid) while others die? This book tells you how to do it. Next time you are faced with selling a concept, like when Stephen Denning was demoted and put in charge of Knowledge Management, something no one wanted to hear about yet he not only sold the concept but made it one of the top priorities at the World Bank, refer to this book. It is that important! 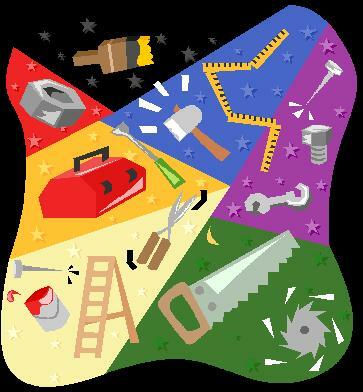 You are currently browsing the Project Management Leadership blog archives for May, 2008.